Untitled, Art is an international, curated art fair founded in 2012 that focuses on curatorial balance and integrity across all disciplines of contemporary art. Untitled, Art innovates the standard fair model by selecting a curatorial team to identify and curate a selection of galleries, artist-run exhibition spaces, and non-profit institutions and organizations, in dialogue with an architecturally designed venue. 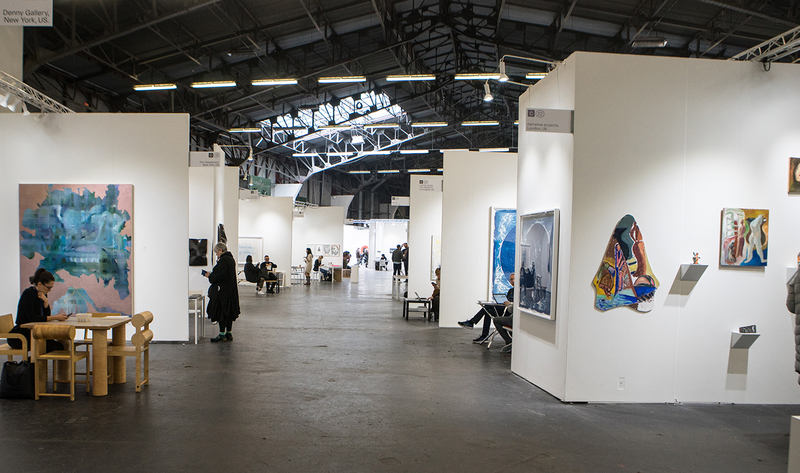 The next edition of Untitled, San Francisco will take place January 12 – 14, 2018. Jeffrey Lawson is the Founder and owner of Art Fairs Unlimited, LLC, Untitled, Art and ELEMENTS Global Trade Show, LLC. Lawson has produced and consulted on large-scale trade shows globally for the past 12 years. In 2010, Lawson founded Elements Showcase. In 2012, he established Untitled, Art, which launched in December 2012 on the sands of Miami Beach at Ocean Drive and 12th Street, and debuted on the West Coast in San Francisco in January 2017. In July 2017 Untitled, Art appointed Manuela Mozo as Director to lead the international development of Untitled and oversee the curatorial and strategic vision of the fairs in Miami and San Francisco. Manuela Mozo was a partner at Simon Lee Gallery from 2013, where she established the gallery’s office in New York. Prior to this, Manuela was a Director at Metro Pictures and Skarstedt Gallery, both in New York. Manuela holds a Masters in Contemporary Art Theory and Cultural Studies from New York University and currently sits on the advisory board of RxArt.